The Fraser River ordinates in the Canadian Rockies near Mt. Robson. It flows west to Prince George and then south through Hope and then west again to the Pacific Ocean. Along this 800 mile trek it is joined by many other rivers and streams, some of them rather large in the own right, like the Thomson. By the time it reaches the Hope area it is a very large river, at least twice as much flow as goes over Niagara Falls. 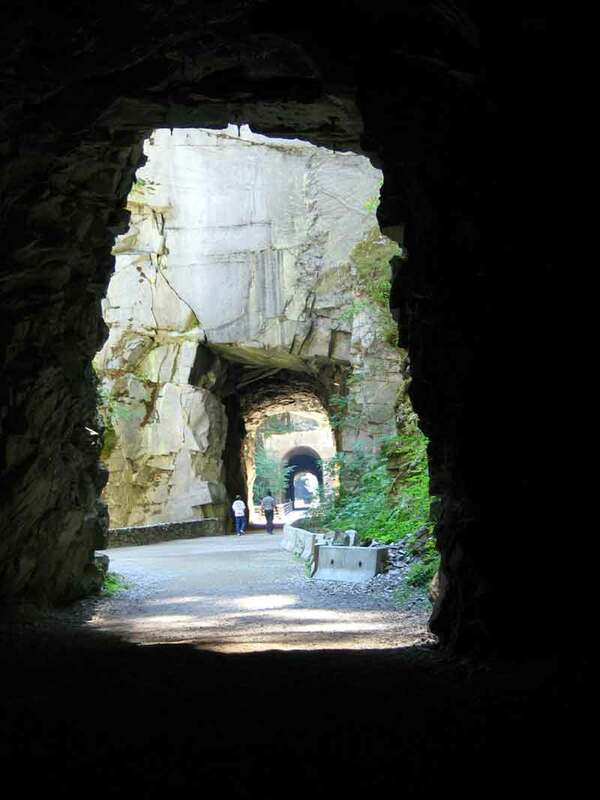 We visited the Coquihalla Canyon Provincial Park and its Othello Quintette Tunnels. These abandoned railway tunnels, originally built from 1911 to 1916, were part of the Kettle Valley Railway. They were designed by Andrew McCulloch and were an engineering triumph for that time. They run along the Coquihalla River and are a very nice walk in a beautiful setting.